A spokesperson for the RAC has said that older drivers are much better at “self-regulating” their driving than younger people, following reports that the Duke of Edinburgh, aged 97, was in a car crash on Thursday. Prince Philip escaped uninjured after his Land Rover overturned in the collision near the Queen's Sandringham estate. Nicolas Lyes told talkRADIO’s Matthew Wright: “Generally speaking, older drivers – those over the age of 70 – they are much better at self-regulating than younger drivers and middle-aged drivers. He added that older drivers are also more likely to get their eyes tested. “From our research we found that when it comes to getting your eyes checked, people who are 70 and over, are far better at doing that than younger people,” he said. 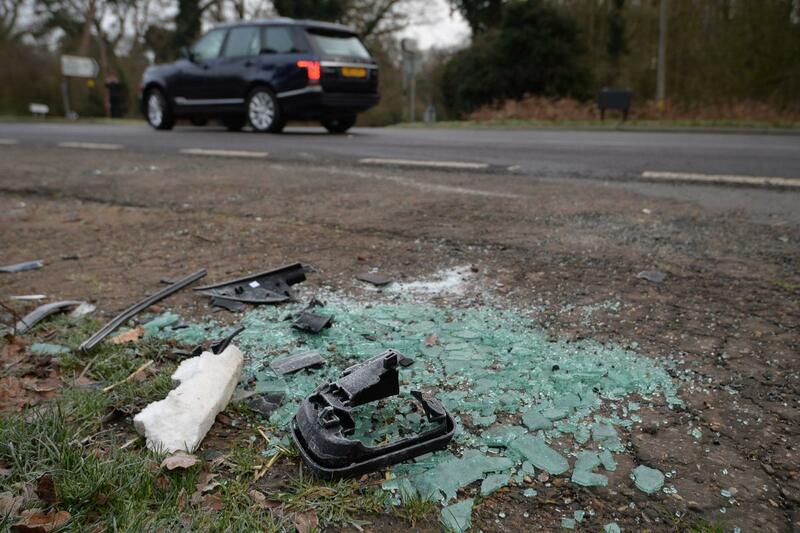 Broken glass and car parts on the side of the A149 near to the Sandringham Estate where the Duke of Edinburgh was involved in a road accident. Image: John Stillwell/PA Wire. Mr Lyes said that imposing more restrictions on older drivers would be “a slippery slope”. “When you get to being over 70, there is the issue of independence. You want to have that independence and freedom to be able to go and take your car to the shops, see your family, and I think if you start imposing restrictions you are going down a slippery slope.